IITH admits 120 B.Tech students, 35 M.Tech students and 10-15 Ph.D. students every year. It currently has more than 1000 students and around 90 faculty members. Institute's tie-ups with foreign universities and industrial giants provide students with international and national scholarships. Candidates are admitted through the regular admission channel that is based on the applications received through IIT-JEE/ GATE & JAM entrance test for various programmes. Final selection will be completely done on the merit basis. IIT Hyderabad runs from a temporary campus located at Ordnance Factory Medak's estate in Yeddumailaram, while the permanent campus in Kandi is being constructed. The campus has a separate administrative building and academic buildings. Institute also includes Central Library, Sports facilities include a football stadium, a cricket ground, table tennis rooms, a gymnasium, tennis, basketball and volleyball courts. Placements are provided to deserving students. Several National and MNC are visiting campus regularly. Recent placement statistics indicate 100% placement for engineering graduates. Average salary offered is 7.37 L p.a. and highest salary offered is 18 L p.a. 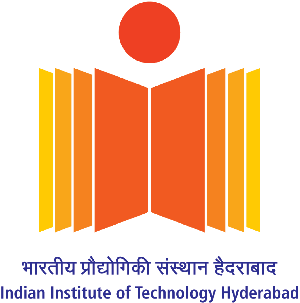 Are you Interested in IIT Hyderabad.